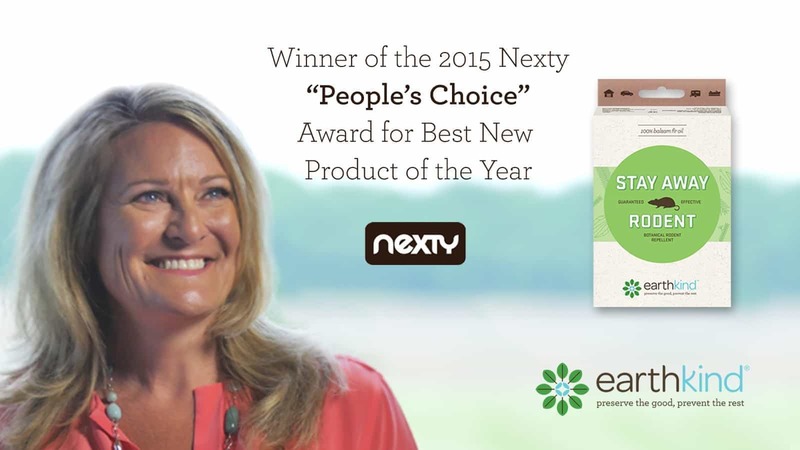 EarthKind® is proud to announce that Stay Away®, the company’s all natural, guaranteed effective, pest prevention for the home, has been honored with the coveted 2015 Nexty “People’s Choice” award. Stay Away was discovered at Natural Products Expo West earlier this year, where more than 4,000 manufacturers introduced their brands to retailers. During the expo, editors and trend researchers from NEXT Forecast scoured the show floor to find natural products and brands they predict will shape the future of the natural products industry. 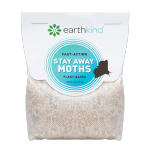 Stay Away by EarthKind includes pest prevention products that protect homes from rodent infestations, as well as ants, spiders and moths. They are made solely from essential oils and plant fibers. They, along with EarthKind’s original product, FRESH CAB® botanical rodent repellent, which was commercialized in 2007 for agricultural and commercial use, are the first and only natural pest prevention products to meet EPA standards for safety and effectiveness — replacing the need for toxic chemicals in the home. To minimize the possibility of children and pets being exposed to poisons, the EPA has banned retail sales of many of the most toxic rat and mouse poisons on the market. EarthKind provides a safer option to prevent rodent, ant, spider and moth infestations and is available for sale at major retailers throughout the country including Lowe’s and Ace Hardware. For more information on EarthKind, where to shop and to learn more about products, visit www.earthkind.com. Kari Warberg Block, founder and CEO of EarthKind is hailed as a market disrupter and tireless champion dedicated to developing and manufacturing natural solutions that will eliminate the need for toxic chemicals in the home. 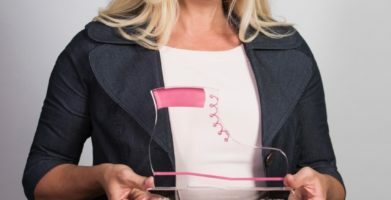 Kari has been recognized as one of EY’s 2012 Entrepreneurial Winning Women and chosen to serve on the National Women’s Business Council (NWBC) which advises the President, SBA and Congress. EarthKind is a Bismarck, North Dakota based, Inc. 500/5000 fastest growth company, which produces a line of all-natural pest and odor prevention products made solely from essential oils, plant fiber, and minerals. In 2014, the company was named as one of the “Top 30 Most Innovative US Bio-Based Companies” byThe United States Senate Committee on Agriculture Nutrition and Forestry. All products are available at home improvement, hardware, pet food & supply, specialty home, grocery and natural product retail stores throughout the U.S. and on-line at www.earthkind.com. EarthKind® is proud to announce that Stay Away®, the company's all natural, guaranteed effective, pest prevention for the home, has been honored with the coveted 2015 Nexty "People's Choice" award. 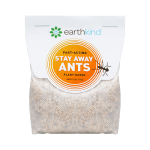 Stay Away by EarthKind includes pest prevention products that protect homes from rodent infestations, as well as ants, spiders and moths. They are made solely from essential oils and plant fibers. They, along with EarthKind's original product, FRESH CAB® botanical rodent repellent, which was commercialized in 2007 for agricultural and commercial use, are the first and only natural pest prevention products to meet EPA standards for safety and effectiveness -- replacing the need for toxic chemicals in the home. 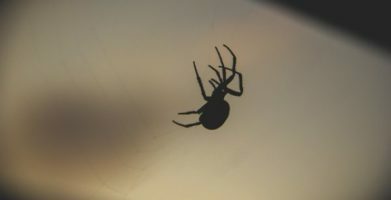 "The American Association of Poison Control Centers receives more than 12,000  reports each year about children under the age of six being exposed to rat poison," EarthKind CEO, Kari Warberg Block, explained. "The ASPCA tells us that 7,000 pets are accidentally poisoned each year, after ingesting rat poison. This is a matter of life and death and it's an absolutely unnecessary risk. There is no reason for families to have rat poison, or for that matter, any other poisons in their homes." To minimize the possibility of children and pets being exposed to poisons, the EPA has banned retail sales of many of the most toxic rat and mouse poisons on the market. 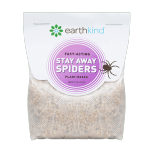 EarthKind provides a safer option to prevent rodent, ant, spider and moth infestations and is available for sale at major retailers throughout the country including Lowe's and Ace Hardware. "We're thrilled that New Hope Natural Media, the producers of the Natural Product Expo, chose to nominate Stay Away as a brand that's disrupting the marketplace and creating better options for families who want to protect the health and harmony within their homes. And we're honored to have been selected by consumers as the "People's Choice". The people have spoken and they want a safe and effective alternative to the poisons that have long been the only viable options available on store shelves." For more information on EarthKind, where to shop and to learn more about products, visit www.earthkind.com. Kari Warberg Block, founder and CEO of EarthKind is hailed as a market disrupter and tireless champion dedicated to developing and manufacturing natural solutions that will eliminate the need for toxic chemicals in the home. 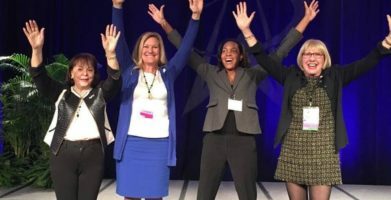 Kari has been recognized as one of EY's 2012 Entrepreneurial Winning Women and chosen to serve on the National Women's Business Council (NWBC) which advises the President, SBA and Congress. EarthKind is a Bismarck, North Dakota based, Inc. 500/5000 fastest growth company, which produces a line of all-natural pest and odor prevention products made solely from essential oils, plant fiber, and minerals. In 2014, the company was named as one of the "Top 30 Most Innovative US Bio-Based Companies" byThe United States Senate Committee on Agriculture Nutrition and Forestry. All products are available at home improvement, hardware, pet food & supply, specialty home, grocery and natural product retail stores throughout the U.S. and on-line at www.earthkind.com. string(115) "Stay Away® by EarthKind® Wins 2015 Nexty "People's Choice" for Best New Product of the Year"
string(223) "EarthKind® is proud to announce that Stay Away®, the company's all natural, guaranteed effective, pest prevention for the home, has been honored with the coveted 2015 Nexty "People's Choice" award.